NEXT | What WoW activity do you refuse to do? 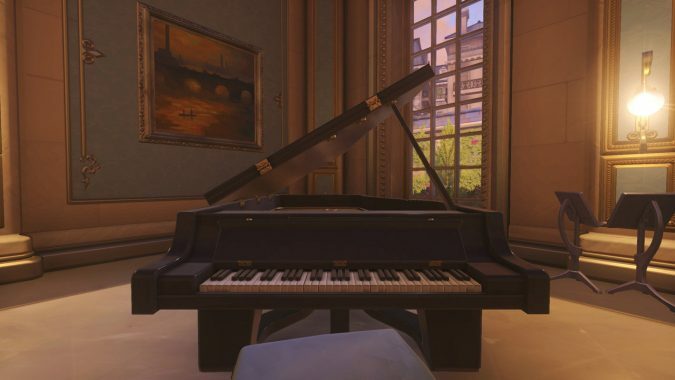 In the new Paris Overwatch map, just outside one of the spawn rooms, there’s a baby grand piano. This isn’t new per se — there are a few pianos on the Wild West set on the Hollywood map, for instance. Unlike the dissonant clangs produced on that one, however, if you aim carefully you can play this piano. Every single note produces the correct tone — even the black keys are proper sharps. The community has taken to this like ducks to water, creating a ton of clips featuring their skills across a range of musical genres. From popular memes featuring EDM, to classical ballet, to that perennial favorite, All Star by Smash Mouth, everyone who was made to sit and practice instead of getting in valuable console time as a kid now has their time to shine — or reap tons of Reddit karma, at least. My personal favorite may be this spur-of-the-moment streamed piece by popular streamer Fareeha. Playing one of the most iconic French songs in a virtual version of Paris, accompanying herself on a baby grand? The symbolism is poetic, and her performance is excellent. If you never learned that Every Good Boy Deserves Fudge, you’re not left out of the fun. While picking out your own song on the not-ivory ivories is probably more fun, Winston can also interact with it like Reinhardt does at the karaoke bar in Busan. Like any sapient ape you know, of course he plays with his feet. If you’d like to practice your own, I’d suggest taking it for a whirl in a custom game. The piano is outside spawn rooms, so not only do you need to take a break from the action to play, it may be hazardous to your health.